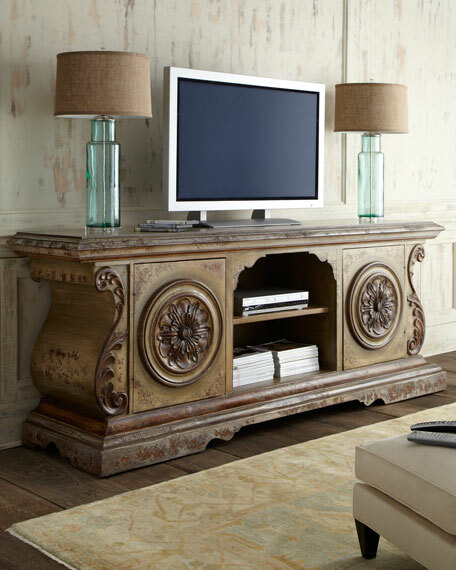 Entertainment console handcrafted of mixed hard and soft woods including oak. 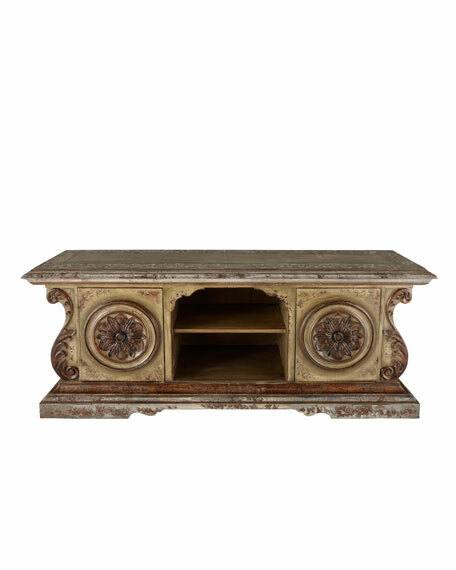 Embellished with hand-carved scrolls and medallions. Two doors and one shelf. 93"W x 23"D x 36"T.
Boxed weight, approximately 135 lbs.